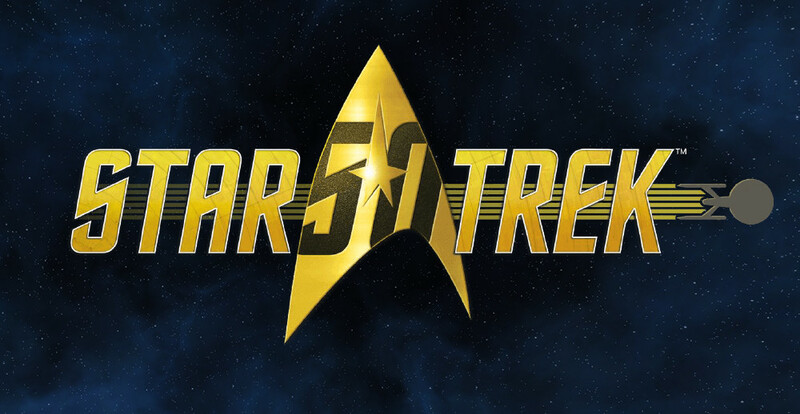 Fifty years ago today, the entertainment world was changed by one TV show: Star Trek. The first episode of this iconic, pop culture franchise aired, and the rest was history (or the future, depending). Star Trek: the science-fiction franchise that has embedded itself in pop culture, science and technology, and fangirls' hearts. The voyage of Star Trek over the past 50 years has explored diversity, politics, and culture. It has sought out new ideas and new technology. It has boldly gone where no franchise has gone before. Today, we've gathered together to share our personal experiences with Star Trek and what this science-fiction TV show means to us. Here's to 50 years of Star Trek and hopefully many, many more. Let's punch it! 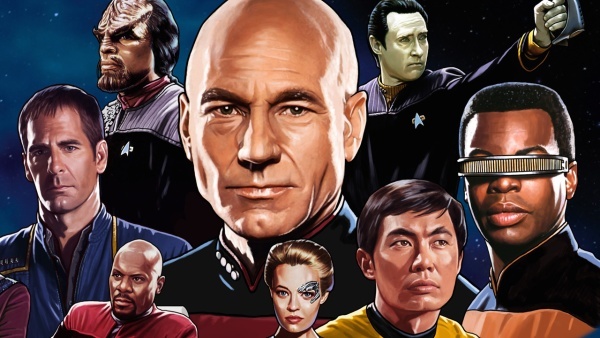 When I was really young, I remember my dad watching Star Trek (mostly TNG, Voyager, and Deep Space Nine with TOS thrown in for good measure) quite a bit; it was the way some dads watch football. I remember bits and pieces like my parents worrying that I'd be scared of certain things and that I was fixated on Patrick Stewart's head. (For years, I just called him "The Bald Guy," which my parents found hilarious.) Beyond that, I mostly remember a calming presence and being amazed that there were so many people on one TV show. They tried to explain the concept of different series to me, but it took a bit to wrap my five-year-old brain around Picard and Janeway not being in the same timeline. When I was in high school, the first J.J. Abrams film adaptation came out. During the end credits, something struck me as unusual-- I realized that I didn't know as many female science-fiction legends as I did male. This new film truly helped rekindle my interest in the Star Trek universe not only as a viewer but through the eyes of a creator as well. When I look at the vastness of the Star Trek universe and the cultural touchstone it has become, I can't help but be inspired to boldly go myself. The first time I saw Star Trek was when I was teenager. I watched all three seasons of The Original Series with my dad, then I watched the 1980s films. Years later, I’ve kept up with the new franchise, and I’ve seen The Next Generation. Yes, the effects of the originals were shoddy. Yes, some of the acting was mediocre and the lines cheesy. What stuck with me was the friendship between the characters and the inborn human desire to explore the unknown, to boldly go where no man has gone before. To this day, I get chills whenever I hear that phrase. I love how Kirk, Spock, and McCoy remain friends despite their vast differences. Spock and Bones’ banter is just gold. I love how they try to solve situations peacefully and strategically, yet they’re not afraid to take action when they need to. Kirk and Picard are such a great commanders and truly have a sacrificial heart toward their crew. I love how in the end the crew of the Enterprise wants to do what’s best for humanity, the planets, and the universe as a whole. How peace and harmony is the ultimate goal, despite the vast threats they’ve encountered whether that be an alien race or even within Starfleet. I love how the series promotes open-mindedness and communication with people who are different than you. They really promote that with the inclusion of Data, Spock, and the crew of all different ethnicities. This show is one of the many things that shaped my love for science-fiction and why I like to watch, read, and write it. Star Trek made me feel more comfortable about being intelligent, using big words, and knowing many facts, despite being ridiculed for it growing up. Star Trek isn’t just a show for me. It’s part of what shaped who I am. 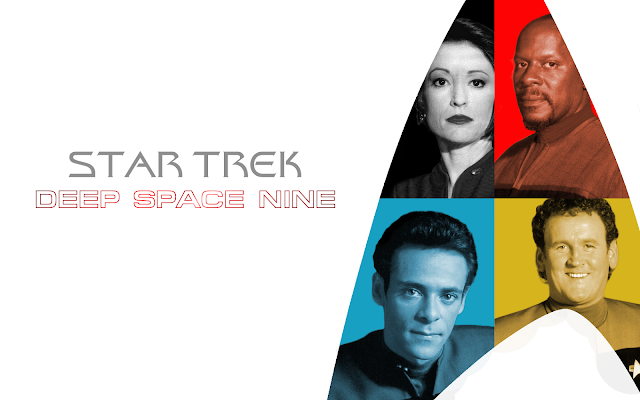 Star Trek: Voyager was the first Star Trek series I ever saw. I remember being eight years old and spending whole afternoons during the weekend with my parents watching three episodes at a time (from DVDs with four episodes each) and simply loving each moment of the TV series. To me, Star Trek isn’t simply a memory from my childhood but a series of situations which I have with me at all times. I was never one of those kids who loved space and wanted to become an astronaut--mainly because of my fears of isolation and darkness--so this show was the one way I could explore space (the final frontier) and boldly go where no man had gone before. Star Trek fueled my love for new technology and science too. The technology in the spaceship itself (just think of the deck) is amazing and not only does it make life more practical, but it ensures life on a spaceship is as similar as it can be to life off of it. There are food replicators (which make food from dematerialized quantities of matter and can also invert their functions to dispose of trash), sonic showers (showers using pulse vibrations to remove grime from the human body), and many more pieces of advanced technology, which I dreamed of having at home. As I got older, I got to enjoy The Original Series and the movies--only at that point did I realize how big the series actually was and how many more adventures I could go on. To me, Star Trek is an endless adventure everyone can take part of. Growing up, I wanted to like absolutely everything my father liked. So I’d listen to kids covering pop music, and I’d listen to Journey and ELO. I’d eat grilled cheese and tomato soup, and, well, I’d at least try Brussels sprouts and liver. I’d watch Barney and Arthur, and, of course, I’d watch Star Trek. 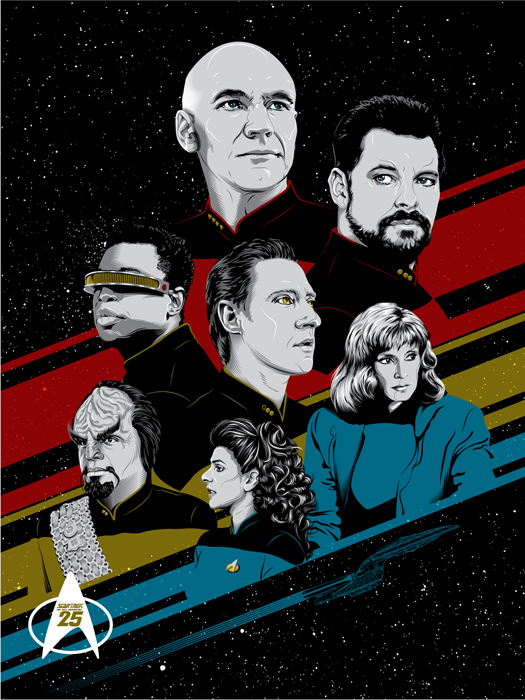 I remember when my father got The Next Generation on DVD and we started making our way through them--me only watching every fifth episode or so because I had to go to bed so darn early. It was one of my first forays into the world of grown-up television and movies. Before he was Sir Patrick Stewart, to me he was just Captain Jean-Luc Picard. Before he was LeVar Burton, he was Geordi La Forge. Speaking of, I also came to know him as the host of Reading Rainbow. In the absolute coolest episode of any kids show ever made (and the only episode of this show I remember), LeVar Burton took us behind the scenes of Star Trek: The Next Generation and went into how some of the special effects were done and just generally how the show was produced. As a kid, I was so proud of myself for knowing a little about Star Trek before seeing this, and I sat in rapt attention as he explained what was happening. I want to say that this sparked a career in, well, anything, but in all reality it just added a stepping stone to my journey toward knowing way too many random facts about pop culture from decades not my own. But it did inspire me to go on to watch other Star Trek series, which in turn not only inspired me to write (so many different plots!) but, as a major part of geek society and society in general, has featured or at least been referenced in many a poem or story. Plus, I mean, space. The final frontier. It’s mind-bogglingly big. And amazing. So I guess what I’m trying to say is, thank you, Star Trek, for being there, for being awesome, and for helping to form me into the person I am now. I grew up with Star Trek. 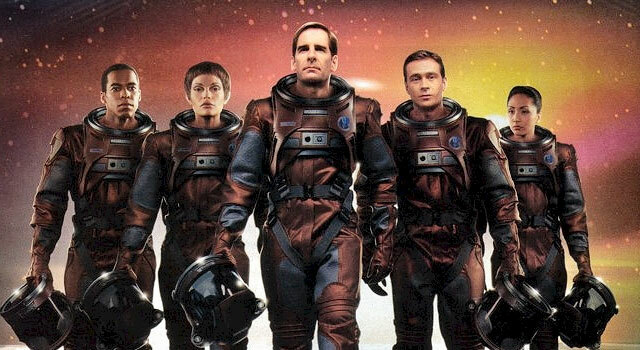 I spent a lot of my childhood watching my dad watch The Original Series and thinking the special effects were terrible and the rest of it was just w e i r d. I remember my dad watching Star Trek: Enterprise, and I would ask questions about it like "Who is Captain Archer and why does he have a dog?" I was hung-up on the Star Wars movies and thought I wasn't allowed to love another outer space story or I would be betraying Star Wars. But then I saw the trailer for the 2009 Star Trek reboot movie, and I got chills. I wanted to--no, I had to--see it. This was the point in my life where I began to learn I could branch out into other stories. Star Wars would be something I'd always love, but there was more out there to enjoy. I watched Star Trek (2009), and I fell in love. The entire concept--outer space, spaceships, exploration, humor, and aliens--swept me away. I saw that film way too many times in theaters that summer. Since we owned the complete set of The Original Series on DVD, I took up watching it with my dad. I bought a Star Trek shirt, a phaser, and countless other items, including the 1996 30th Anniversary Star Trek Barbies. (I know.) 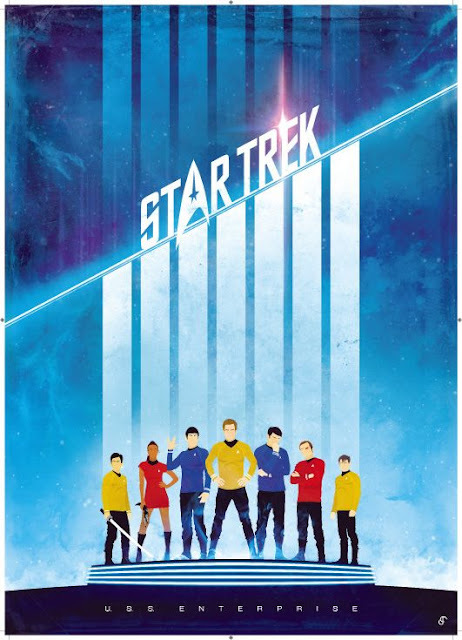 I fangirled over Star Trek Into Darkness (and no, not just because Benedict Cumberbatch was the villain) and revisited my love for the franchise with Star Trek Beyond (which was gorgeous but emotional). The reboot movies, more than anything, are what convinced me to watch the previous shows. 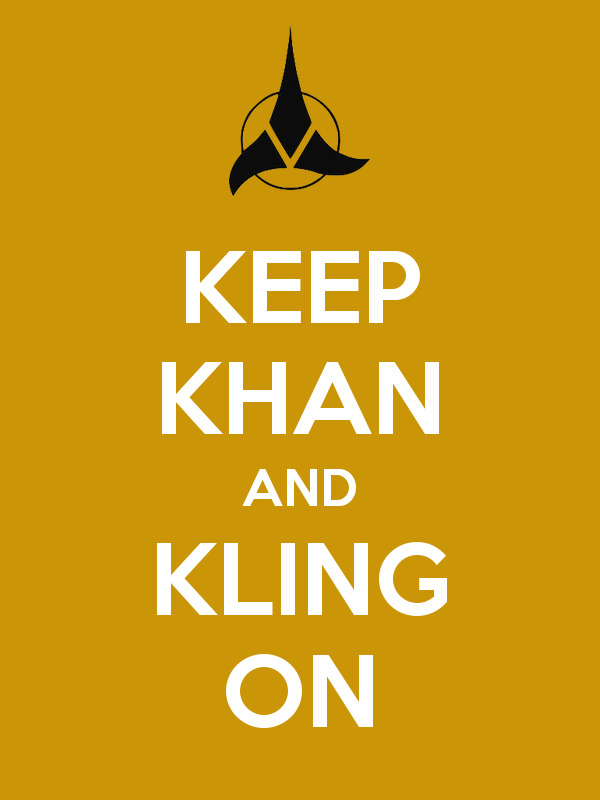 While I haven't seen every single episode or movie, I still consider myself a Trekkie. Star Trek taught me a lot about myself and my own writing ambitions. I realized how fascinated I am by outer space, the stars, and the possibilities of the universe. I learned what are good examples of story-telling and character building. 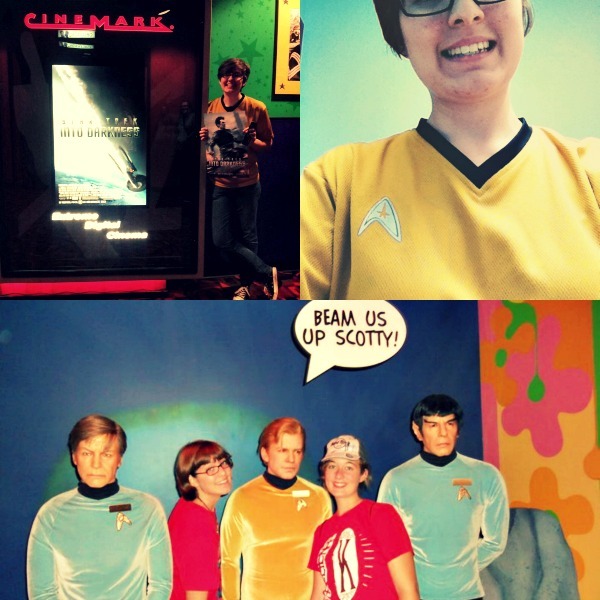 Star Trek is the reason I've embraced my fangirl side. It showed me that cosplay and going to cons and being excited about anything is acceptable. I have unashamedly fangirled over the franchise, whether it was due to a movie trailer, a casting decision, or just the humor and dialogue from the shows. Star Trek will live on through its fans, and I will be right there with the rest of them. It made me fall in love with characters, stories, outer space, and stars. It introduced me to diversity and encouraged unity, peacefulness, and perseverance. 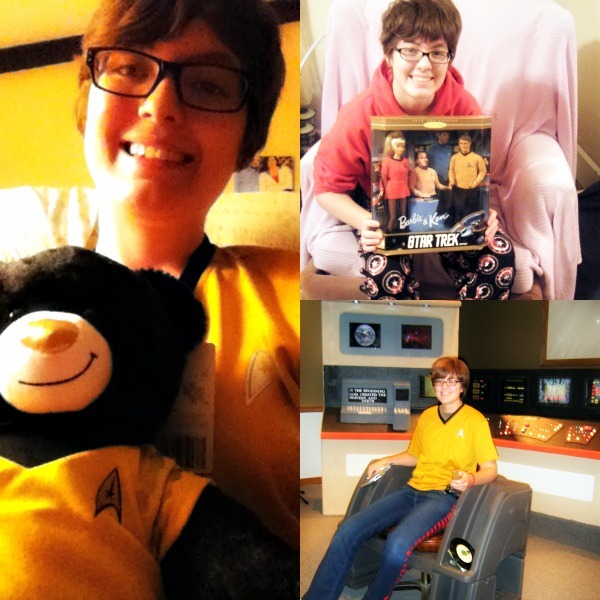 Star Trek has changed who I am as a person, a fangirl, and a writer. It has revealed purpose for me--not necessarily to be heroic and save the galaxy or to work in a specific field, but just that I can be a human being and work with others in a small way to make the world better. Basically, I wish I could join Starfleet. It’s weird to admit now, but I think Star Trek is one of my earliest memories. I remember seeing an episode and being scared of the aliens in it. They terrified me, but they also intrigued me, and so did the concept of a show set among the stars. I don’t remember much else, except that Star Trek: The Next Generation was always quietly in the background of my childhood. The characters were as good as real to me; they were like my family. I looked up to Captain Picard as a good man. I thought my dad was Riker. I identified so much with Data in his quest to understand humanity. Maybe it doesn’t matter when I first found Star Trek, just that I did find it. No matter what, Star Trek was there for me. It still is. It’s a source of hope, of laughter, of comfort. I have to thank Gene Roddenberry and literally everyone involved in Star Trek over the years for giving me the adventure of a lifetime. I will never forget it. For me, Star Trek is home. I will always be the girl who wrote Star Trek fanfic and who wants to join Starfleet. (If Starfleet becomes a thing, please call me.) I will always come back to Star Trek, in all its many forms, to remind me of the wonder we still have yet to experience, the peace that can be found in the future, and the beauty of the human existence. I’m grateful to you, Star Trek, for being a source of hope, entertainment, and adventure. Thanks for the adventures we’ve already had and the adventures still to come. Let’s boldly go. What's your Star Trek experience? Celebrate the 50th anniversary with us below in the comments!